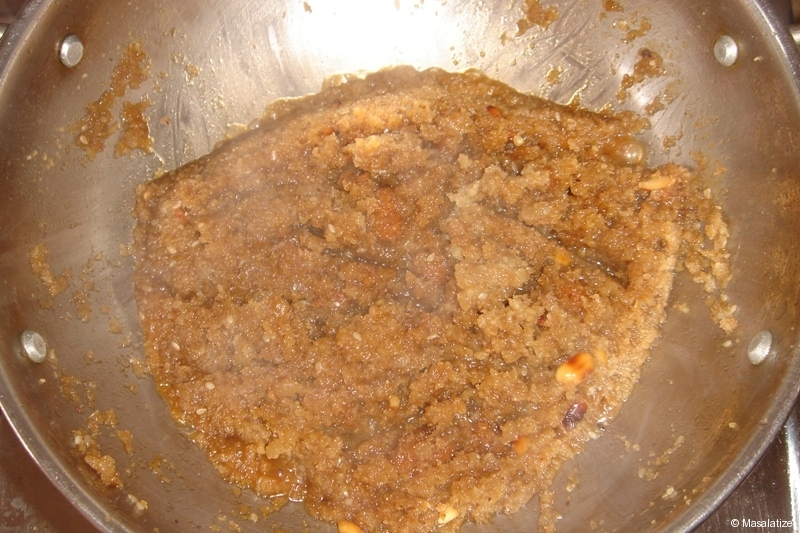 I prepared naru with jaggery. However, sugar also tastes good as well. 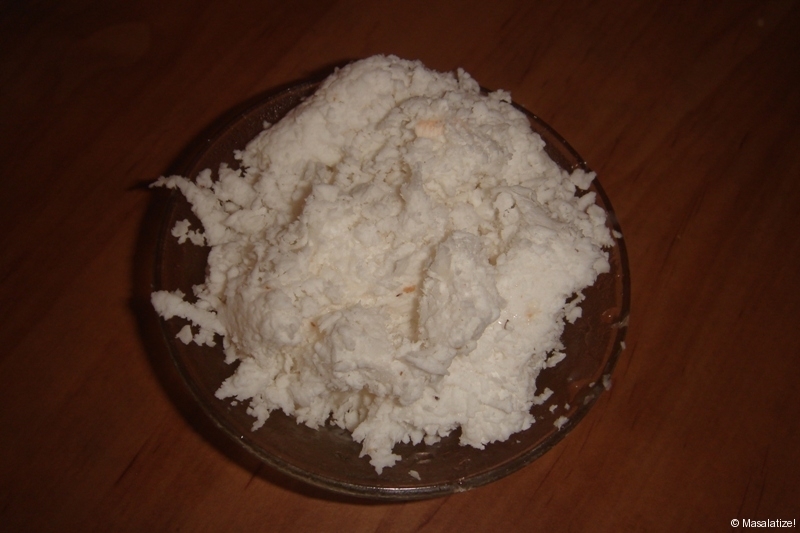 Take Jaggery in pan, then add the grated coconut and milk. Stir well. Atlast add cardamom. When the mixture become thick, dense & sticky, place the pan cool to normal temperature. 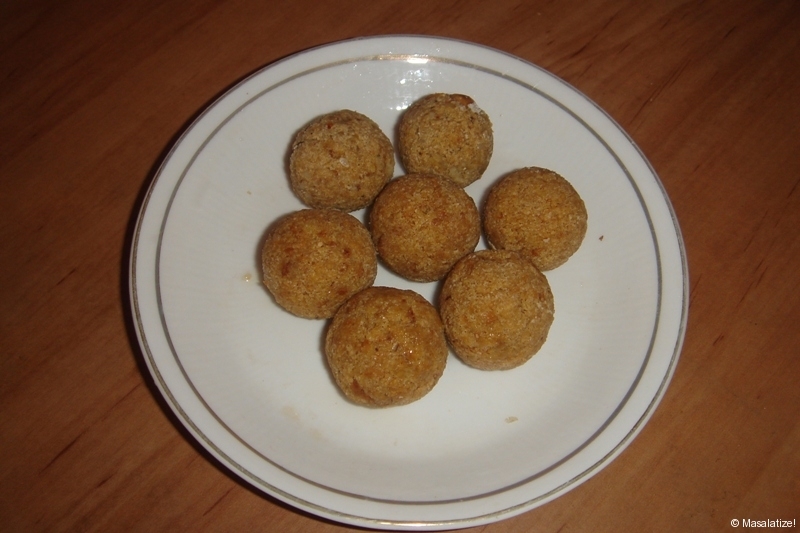 Take small amount of the mixture and make small balls with the palms of your hands. Preparation is ready to serve. Laddus will be over before you serve.